Located in the County, 5.6 +/- acres unimproved land located just outside and contiguous to Delaware City Limits. 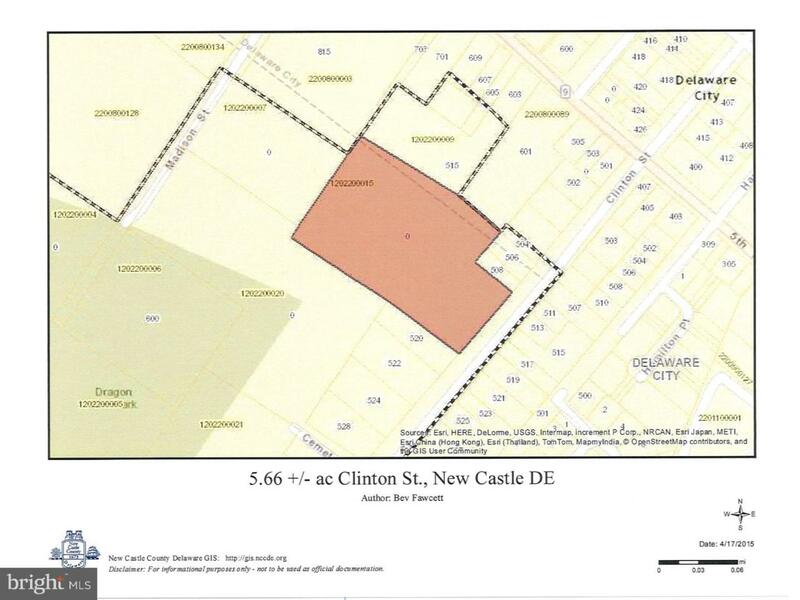 Excellent opportunity to acquire a site still in New Castle County (Zoned S), but has great annexation potential for small singles or townhouses. Utilities nearby. A Must See.